Ships?from?Hong?Kong. 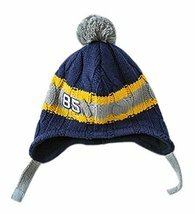 Material: 100% cotton, superfine lamb fur inside. 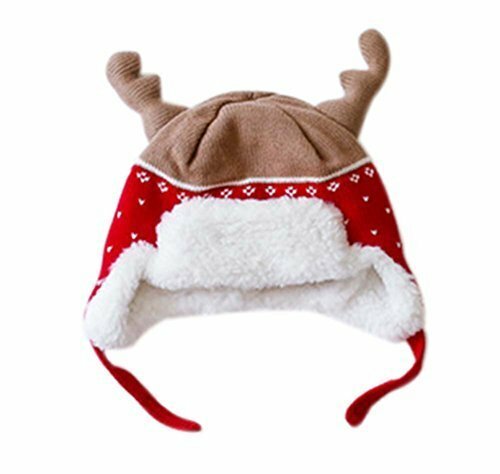 Size: M. The baby head circumference size: 48-50 CM(18.90-19.69 inch). 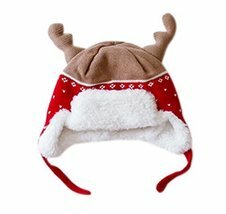 Suitable for 2-3 years old baby. 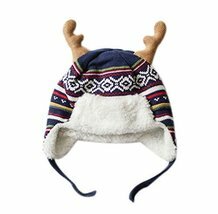 Warm double knitted hat, cute boys reindeer ear cap. Cotton jacquard interior lining material with superfine lamb fur, hat windbreak.